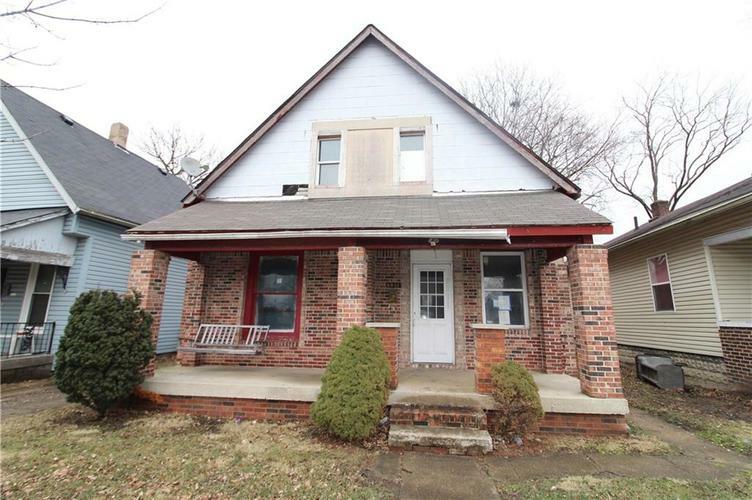 Great opportunity on this brick home in Martindale-Brightwood area. The home features 3 bedrooms, 1 bath, hardwood floors, dining room, attic. A few cosmetic fixes needed to make this home shine to your liking! Won't last long at this price! Directions:From Brookside Park, Head north on N Olney St toward Brookside Pkwy N Dr, Turn right onto Massachusetts Ave, Turn right onto Station St.